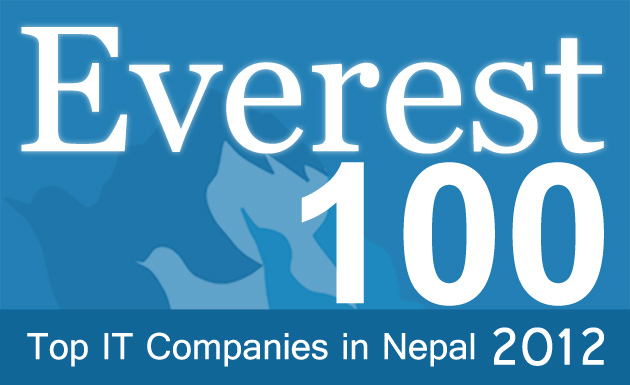 ANNOUNCEMENT: FINAL LIST of 100 Top IT Companies in Nepal 2012 is published at: http://everestlist.org/everest-100-top-it-companies-in-nepal-2012/. We invite you to VOTE for up to 3 companies in our Everest 100: Top IT Companies in Nepal 2012 list. – Make sure that you carefully select up to 3 companies before clicking “Vote”. – Voting ends at 12:00 am on June 1, 2012. The voting is open to the public and we hope this to be an opportunity for the best IT companies in Nepal to be recognized. UPDATE1: We admit that our selection procedure for the first 100 companies in the list has been basically ‘word-of-mouth’ and ‘simple search’. UPDATE3: We have revised the voting end date to June 1, 2012.